Kerry Blackshear is considering a transfer from Virginia Tech and would likely be eligible to play next season. Hokies guard Nickeil Alexander-Walker will forgo the final two years of his collegiate eligibility and enter the NBA draft, he said Sunday on social media. Virginia Tech coaching search -- Who will keep Hokies' momentum going? 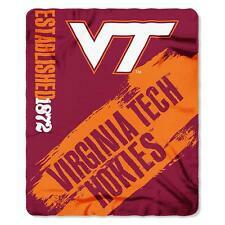 Virginia Tech is in the ACC and has had recent success, so it's going to be an attractive job. The Hokies just need to find the right man to fill Buzz Williams' shoes. Zion Williamson soared for a two-handed, rim-rattling, crowd-thrilling alley-oop slam that gave Duke its biggest lead during a tight tussle against Virginia Tech in the East Region semifinals. After beating Duke last month, Virginia Tech isn't fazed by all the hype surrounding the No. 1 Blue Devils. Said guard Justin Robinson: "It's just another game for us." Virginia Tech's Ty Outlaw will be allowed to play Friday against Duke after passing a drug test, coach Buzz Williams said in a statement. Virginia Tech's Ty Outlaw has been charged with possession of marijuana, jeopardizing his status for the remainder of the NCAA tournament.